The ceremony marking 195 years since the death of Djordje Petrovic Karadjordje, leader of the First Serbian Uprising, has been held today in the Church of St. George on the hill of Oplenac in Topola. Crown Prince Aleksandar Karadjordjevic and Princess Katarina Karadjordjevic paid respects to the Serbian general together with representatives of the Ministry of Labor and Social Policy, high-level delegations of the Ministry of Defense and the Serbian Armed Forces, as well as the municipalities of Topola and Arandjelovac. Wreaths were also laid by representatives of several organizations and societies for preserving traditions of Serbian liberation wars until 1918. Karadjordje was killed in Radovanjski Lug near Velika Plana on July 25, 1817. 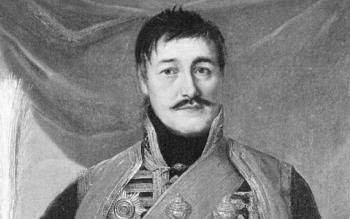 He was a leader of the First Serbian Uprising and one of the most significant military commanders in Serbia between 1804 and 1813.